Bats are insect-eating machines. According to the USGS, “Bats normally eat about half their weight in flying insects each night.” So even for those who don’t find these night-flying mammals charming, it’s good to know there are bats among us. 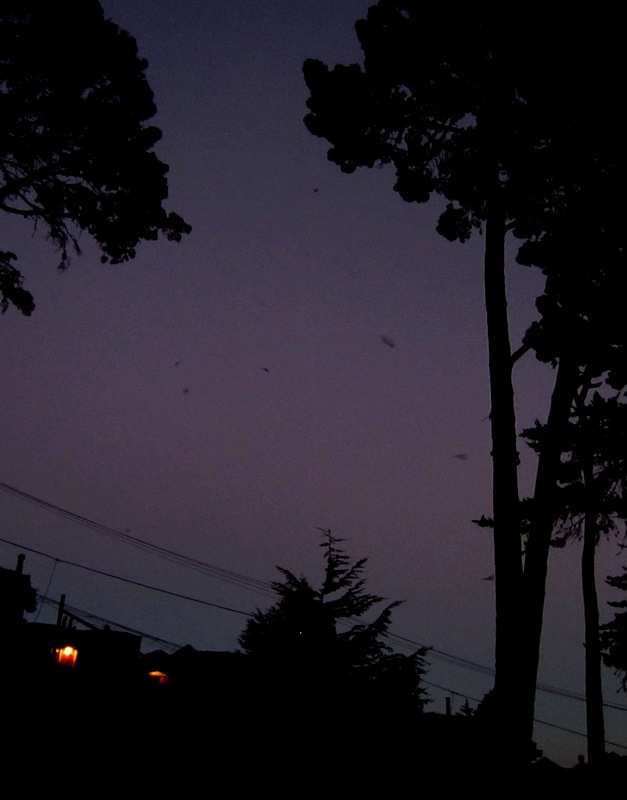 San Francisco has at least four species of bats, all of which eat insects. According to research by Jennifer Krauel, which involved recording bat sounds to determine which species they were, Mexican Free-tailed bats are the most common. Parks with water – like Glen Canyon – also have Yuma Myotis bats. 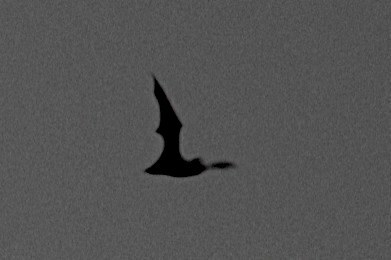 The other two species she found (more rarely) were Western Red Bats, and Little Brown Bats, and she found them in just a couple of places. Her research indicated that “amount of forest edge and distance to water were the factors best explaining species richness and foraging activity.” It also showed that bats in San Francisco remain active through the winter and don’t hibernate or move elsewhere. Here’s a note on bat-viewing from one visitor to Glen Canyon. “They dispersed over the canyon. 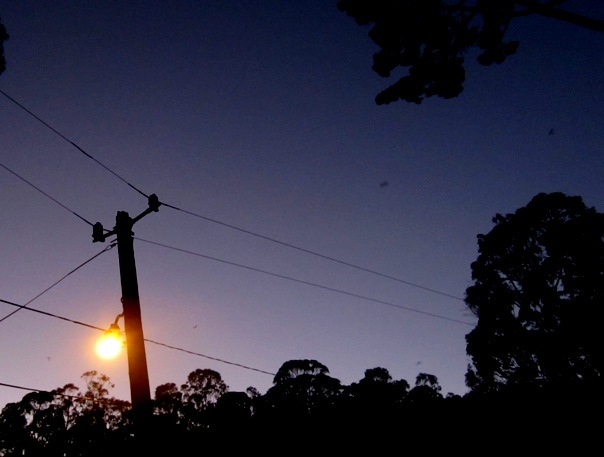 Here’s another picture from a few minutes later (and the one below it shows where the bats are). We did a little research, and found a Stanford report that emphasized the importance of large trees to a particular species of bats, Yuma Myotis… bats that Krauel’s research had actually found in Glen Canyon Park. That’s the size of the big eucalyptus trees in Glen Canyon Park – including those that SFRPD wants to chop down. Bats are an important part of an eco-system, and fill a role few other creatures do: They hunt night-flying insects like mosquitoes that birds don’t catch because they’re sleeping. This is especially important now as West Nile virus, a mosquito-borne disease, has been spreading. 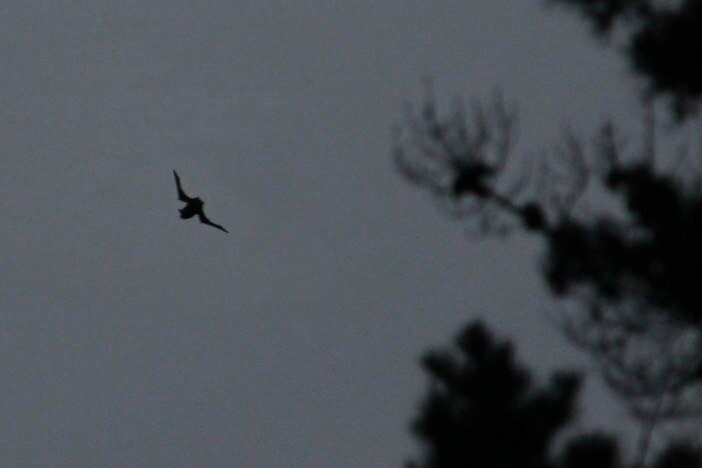 Having bats in a landscape contributes to its bio-diversity. All species of bats are protected in California. HOW WILL SF RPD ENSURE THE PRESERVATION OF THE BATS? We’re concerned about the impact of the planned tree removals on Glen Canyon’s bats. All species of bats are protected, and removing the trees will impact their habitat by reducing the number of safe roosting spots, especially for Yuma Myotis bats that need both large trees and nearness to water. The contractor will be chopping down the trees in the daytime. Bats roosting there are likely to be killed – if not in the process of the tree-felling, by being forced to fly blinded and confused in the daytime and fall prey to hawks, crows and ravens. 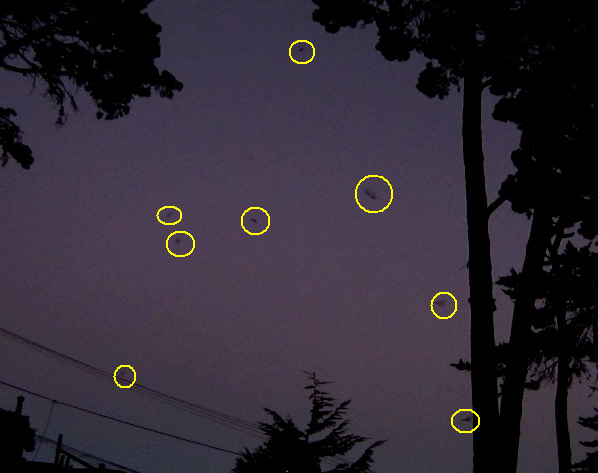 How is SF RPD going to ensure the protection of these bats? And in what ways will felling large trees near the stream alter the ecology of the canyon? When Cupertino and the SCC Water District installed the walking/bicycle path between McClellan Ave. and the Blackberry Farm swimming pool area five years ago, they destroyed a bat cave (or whatever they are called) and no one with responsibility cared enough to stop it. And no, I believe the bats have not returned but follow up with the City of Cupertino would be required for verification. I live in New Mexico now, a former resident of San Francisco, and I’m a big fan of bats. There are different species of bats in New Mexico, all of them have a positive role in the environment. Many people build bat houses to welcome these insect eating mammals to their yards. There is also a bat species which pollinates fruit trees in New Mexico. What great photos! A really good post!